Kasane car rental through Drive South Africa offers affordable car rental in Botswana. We pride ourselves on professional service and cheap Kasane car rental rates to ensure you are able to explore this rugged, wild and beautiful country from the comfort of a Drive South Africa hire car. We offer a broad range of rental cars in Botswana provided through an established network of reputable car rental companies. Our affiliation with several rental companies means we can bring you the best value across the board. Drive South Africa’s dedication to prompt, efficient and professional customer service is delivered to all our customers, at all our branches. We maintain a high standard throughout Southern Africa. Whether you’ve chosen to see Botswana by 4x4rental or decided a cheap Kasane rental car as your preferred means of travel, our car rental affiliates provide a comprehensive after sales service to ensure you’re covered for road side assistance and breakdown cover. We offer pick-up and drop-off car rental at three airports in Botswana. This allows you greater freedom and flexibility when renting a vehicle and broadens your horizons when planning your trip with the options of returning your rental car to Maun Airport, Gabarone Airport or Francis Airport. Kasane’s strategic location at the meeting point of Botswana, Namibia, Zambia and Zimbabwe, has made the once sleepy village a popular destination for tourists and travellers. The town has expanded in the last few years as its prominence on a main tourist route grows. A hire car puts you in the driving seat to decide which way you head next. Please confirm with our travel consultants if you require any additional documentation when crossing these borders in a rental car. We also have the option to return your rented car in these countries, again our consultants can advise you about one-way car rental charges. Our online reservation service is a user-friendly system, bookings are made on your behalf by Drive South Africa through Botswana’s most reputable car rental companies. All our vehicles are late model and low mileage. By using reputable international car hire companies Drive South Africa is able to ensure you receive extensive after sales service. We offer several options to our customers to enable them to tailor their car hire to suit their needs, from a fixed daily limit to unlimited mileage car hire and multiple branches to collect or return your vehicle. Drive South Africa rental cars come with several insurance options from standard insurance cover and super insurance cover on all our rental vehicles, to a max insurance cover available on our most popular vehicles, max cover is a zero insurance excess option. We compare car rental prices across the car rental industry to continue providing you with cheap Kasane car hire. We offer long-term car hire and short-term rental through our online reservation facility as well as seasonal specials, off-peak rental deals and the best value cheap car hire in Botswana. With only a fraction of the country’s roads paved, Botswana is a rugged wilderness, pristine in its beauty but also challenging on a vehicle. 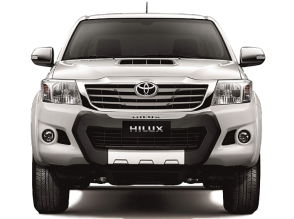 Depending on your itinerary, 4×4 hire might be more suitable to your journey, and indeed vital in most of the game parks, offering additional ground clearance and enhanced engine power. 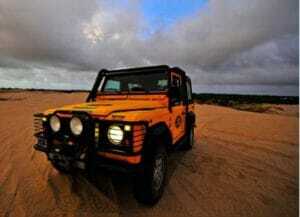 Drive South Africa provides a specialist 4×4 hire section where you can rent fully equipped 4wd vehicles.